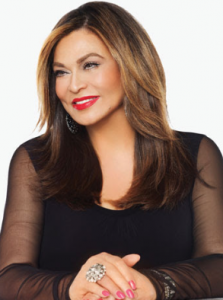 Inspirational philanthropist and fashion designer Tina Knowles Lawson will deliver the 2018 baccalaureate ceremony keynote for USC degree candidates and families. The nondenominational interfaith celebration will be held at 5 p.m. on Thursday, May 10 at Bovard Auditorium. The baccalaureate dinner will follow at 6:30 p.m. on Pardee Way. Knowles Lawson and her husband, actor Richard Lawson, recently launched the nonprofit WACO Theater Center in Los Angeles. The center is home to Richard’s Warriors and Tina’s Angels, two mentorship programs for young men and women. After beginning her career as a stylist for the globally lauded music group Destiny’s Child, Knowles Lawson has become an influential figure in the world of fashion, while dedicating herself to community service. She co-founded the Survivor Foundation for Hurricane Katrina victims along with daughters Beyoncé Knowles Carter and Solange Knowles. The Knowles-Rowland Center for Youth and the anti-hunger campaign Miss A Meal were also co-founded by Knowles Lawson. Knowles Lawson was the first recipient of the Essence Inspiring Leadership Award. Siddhartha Mukherjee, the Pulitzer Prize-winning author and pioneering oncologist, will deliver the commencement address on May 11. More than 15,500 degrees will be conferred during USC’s commencement this year, either at the main ceremony in Alumni Park or at one of the satellite ceremonies across the University Park and Health Sciences campuses. Degree candidates, Half Century Trojans, faculty and distinguished guests will form a processional leaving Bovard Auditorium at 8:30 a.m. USC President C. L. Max Nikias will preside over the main ceremony at 9 a.m. in Alumni Park. For more information about USC commencement, visit commencement.usc.edu.